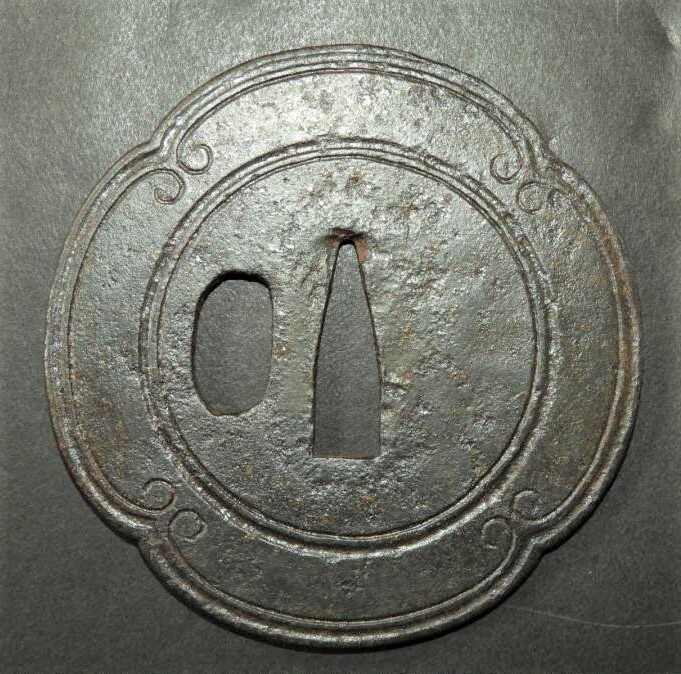 "A thin iron plate with a low relief carving of warabi-te design. Kamakura tsuba were made from Late Muromachi to Edo period. They are usually thin iron ita-tsuba with uchikaeshi-mimi and mostly large dimensioned carvings. They bear similarities to Katchushi tsuba and Onin-tsuba. 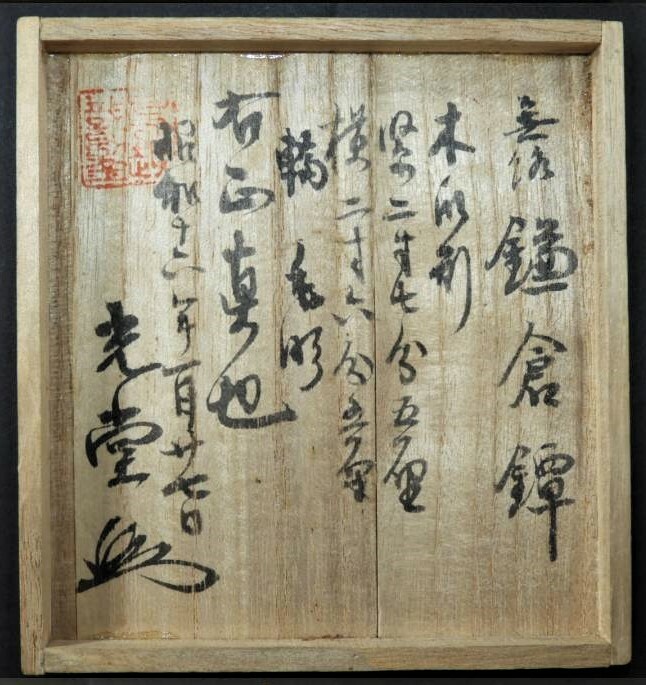 All of them are unsigned so there is no information about their makers; from an overall interpretation, it seems likely that they were made by craftsmen from the Katchushi group. They were quite popular. The name “Kamakura tsuba” derives from a type of engraving called Kamakura-bori (Kamakura carving), a Chinese engraving technique originally used on lacquerware, that by Muromachi period was being applied also to tea utensils, Zen-related implements and eventually to tsuba decorations. There exist both large and small examples of Kamakura tsuba: most of them are in round shape, but there are also examples in irregular kawari-gata or lobed-shape as seen here. 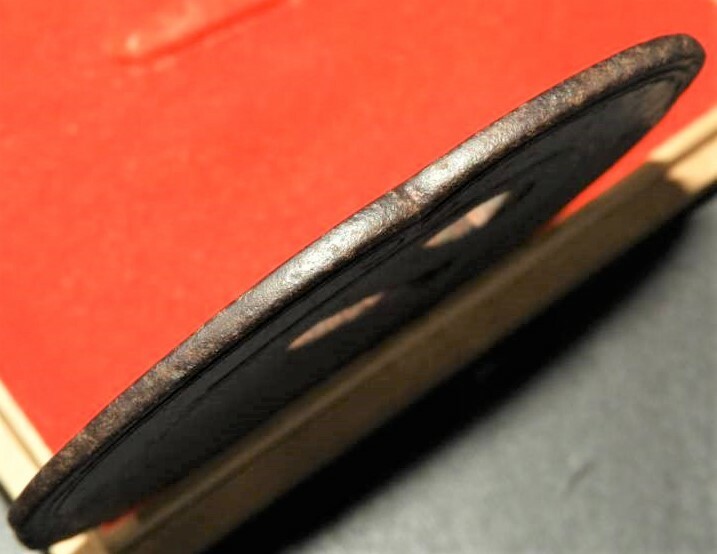 In most cases the iron is not high quality (even though there are exceptions), they are thin ita tsuba with large-dimensioned pattern carved out in sukidashibori, often accentuated with kebori and the carvings are not very crisp. 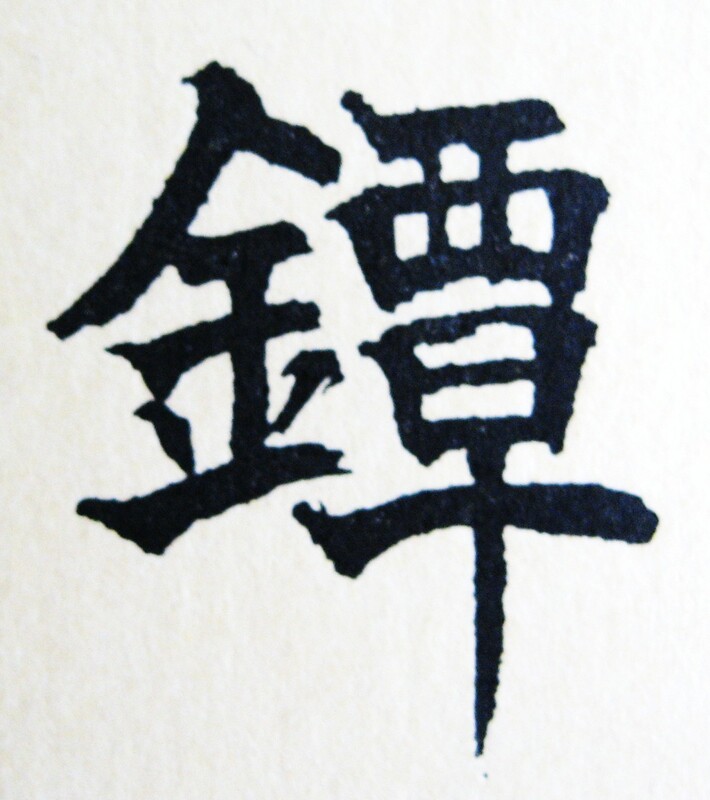 The seppadai is in almost all cases left raised in sukinokoshi manner, so is the rest of the motif, and thus it has the same height as the patterns. The rim area is slightly thinner than the seppadai and most Kamakura tsuba show a kaku-mimi ko niku in a raised sukinokoshi interpretation. They can come with or without hitsu-ana, one being subsequently opened here. The warabi-te design is a style of ornamentation which features a curved design based on curling bracken shoots. Tetsu-ji, warabi-te design of curling braken shoots. Everything written to the right is true.